Little Cog was founded in 2011 under the creative leadership of Vici Wreford-Sinnott. It is an exciting arts organisation specialising in Disability Art, theatre, and training. 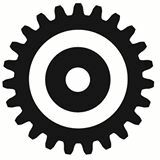 Little Cog is a dynamic arts organisation specialising in the production of professional Disability Art in a number of artforms including theatre, digital film and photography, visual art, temporary installations and living performance interventions. The company is committed to curiosity and producing innovative inspiring work which engages and builds strong equitable communities. We both create artwork and deliver training and development programmes. 10 million people in the UK are disabled people. In the North East of England 25% of the population is disabled with 70% of us becoming disabled as we age. And yet still disabled people remain discriminated against in education, employment, training, access to goods and services and very often do not have their basic human rights met. Little Cog is challenging negative perceptions around disability and is celebrating the vibrant identities of disabled people through innovative creative work. We raise the profile of and celebrate the positive contribution disabled people make to our social and cultural landscape, and which reflects the experiences of disabled people. Our work challenges commonly held negative perceptions about disabled people and the stereotypes prevalent in our society. We create exciting platforms to share the vibrant culture withion the disability community. Disabled people are supported, their isolation reduced, and their voices given a platform. Through our training and education programmes disabled people give and receive peer support, are introduced to mentors, are provided with information about events and opportunities. We also provide disability equality training.